Here at UK Electrical Supplies, we know how frustrating enormous energy bills can be. That’s why we carry a wide range of LED lamps from Save Light UK. Whether you need to illuminate your home or workplace, these ultra-efficient products are a great way to cut costs because they burn brighter, last longer and use less energy. 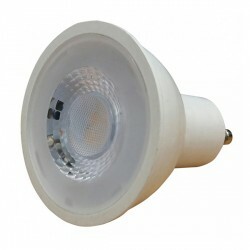 Our stock includes a variety of globes and spotlights, in your choice of warm white or cool white. Why put it off any longer? Step into the future of lighting and start saving money today.